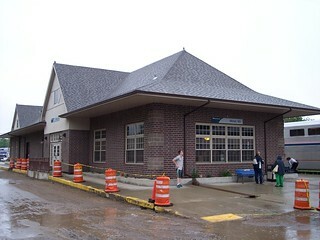 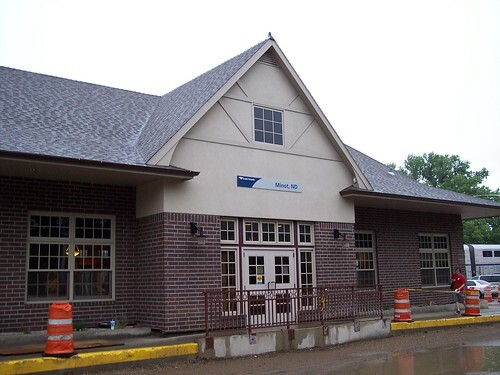 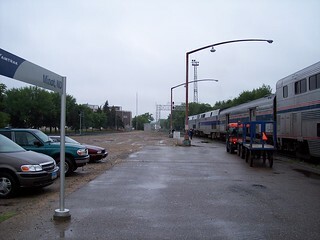 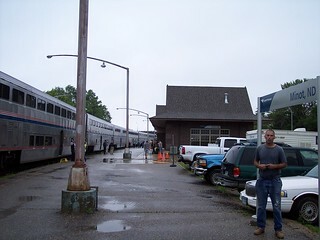 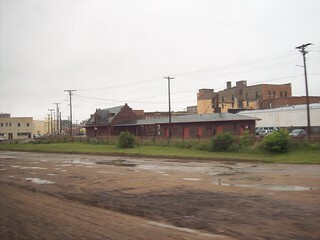 The Amtrak station in Minot. 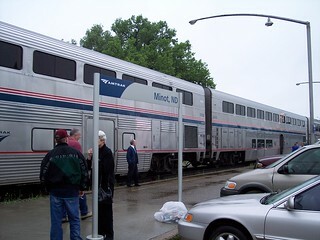 The Empire Builder stopped in Minot on a rainy morning. 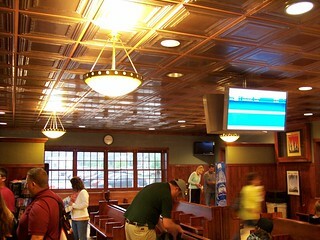 A look inside the modern station. 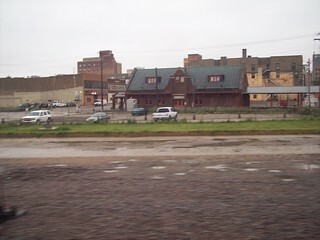 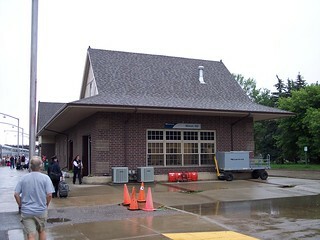 The former Soo Line station sits nearby.